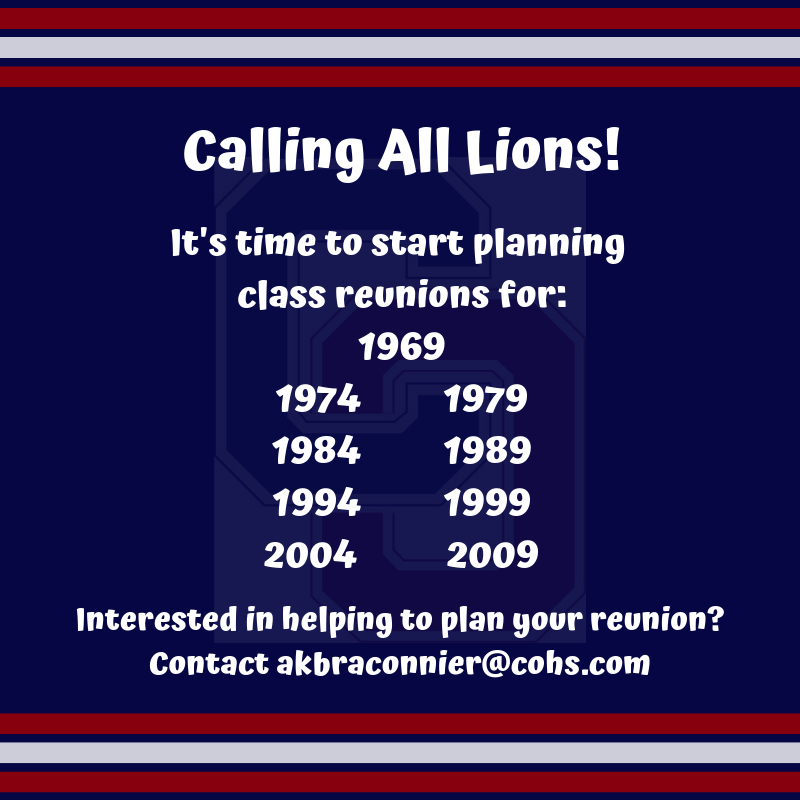 We're planning class reunions! Be a part of planning yours today. Contact Aimee-Kate Braconnier, Director of Alumni Relations at 610-544-3800, Ext. 1887 or akbraconnier@cohs.com.